My niece has the best laugh! I love the way she throws her head back in pure joy when she cracks herself up. Once again I created my own background paper using Duetica fonts. I created a line of LOL’s in the program and copy and pasted them into the background paper. Creating your own unique word background papers has never been easier with Duetica. For this project I incorporated the playfulness of the Duetica DT Riley and DT Piper fonts. Slainte – Good health to you for St. Patrick’s Day. What a better way to say that than with a clean and simple card. Creating cards for whimsical holidays is fun and does not have to be complicated. Print out a quick saying to go along with the holiday. Cut it out and ink the edges. Place a few 3d dots underneath. Place ribbon on the card and the saying over top and add a printed image. 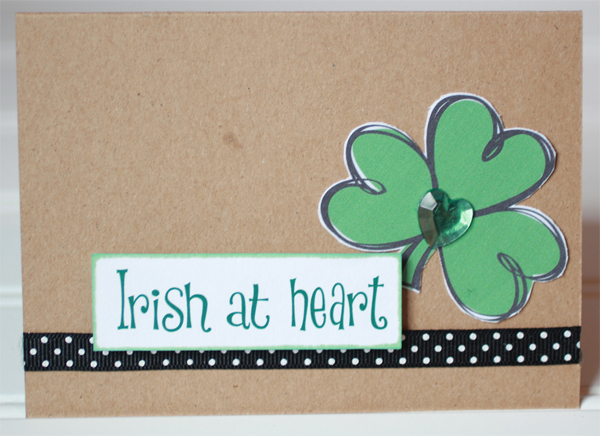 For this card I used, kraft cardstock, black and white ribbon, a cut out of a shamrock from JGoodies designs, and the whimsical Duetica DT Piper font. 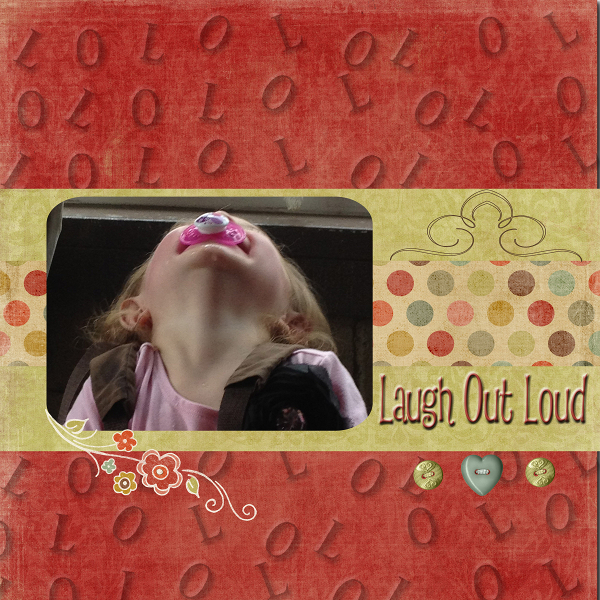 VOILA- a fun and creative card made quickly. Blessings are around us everywhere. We just need to look for them. There could be a person that lifts your spirits, or just a person you offers you a hand. This Blessings card is just my reminder of what to make of life, to not think about the bad things, but keep my head up high. The Duetica DT Piper font looks very casual, but captures the essence of all the glorious things. 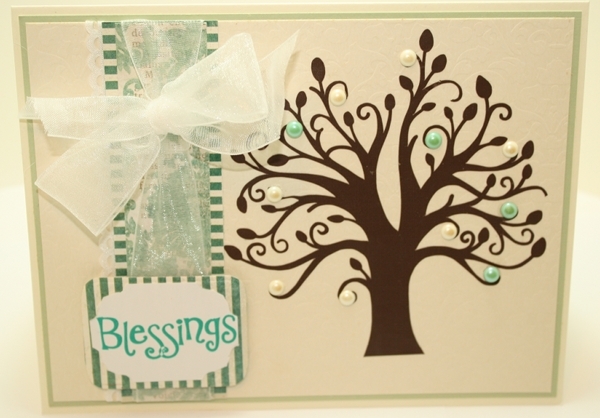 This card was created using the Duetica Lettering Arts Studio software and Viva Décor Pearl Pens. Duetica makes custom type so easy to create and there are hundreds of variations. I used the Duetica DT-Mandolyn font, which is my favorite, mostly because I can add beautiful swirls to the letters and make them wrap around themselves. You could set this up on your computer and leave it as is, printed in black, white and red and it would be fine, but let’s add some layers and bling it up a little to take it to the next level! After I thought I was finished with my card, I left this on my work table for a while and then realized it needed some Ice White Pearl Pen. That made all the difference in the world. Posted in cards, Design Team, Inspirational Ideas	| Tagged card making, cards, Design Team, designers, Duetica Lettering Arts Studio, Fonts, Valentine	| Comments Off on How Do I Love Thee? This is what I love about Duetica Fonts! I can use the different lettering styles of each font to make an elaborate statement or one that is very simple. With this art, composing my own phrases in the Duetica DT Piper font is a snap while still producing a beautiful and simple sentiment. I am not constrained to stamping generic words from wood blocks! 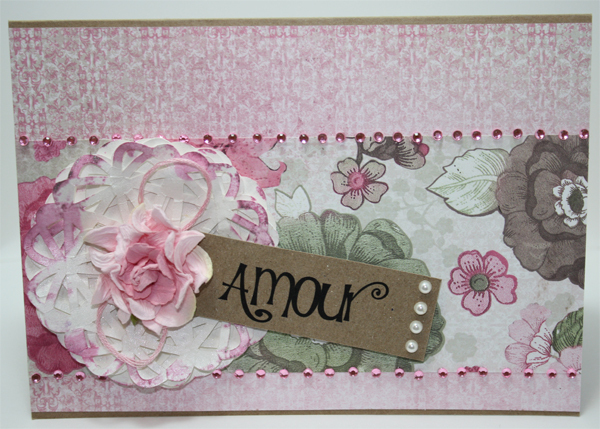 For this card, I printed the word “Amour” which means “love.” I also used the character spacing in the Duetica Design Studio to weld my letters together. Except for the letter “A,” each letter actually touches the one preceding it. This element gives us another tool in our box to design these finishing touches to our cards, layout pages, etc. I love to make birthday cards. I don’t always get them in the mail on time, but I still love the creative process of making them. This sentiment has been around for a long time in one form or another, but I can remember my Dad wishing me “Hoppy Birdie” when I was a child. I love being able to use the Duetica Lettering Arts Studio to create the sentiment I want without having the stamp. That’s just one more thing that won’t be taking up valuable real estate in my studio. For this project, I used the Duetica DT Saxi font. 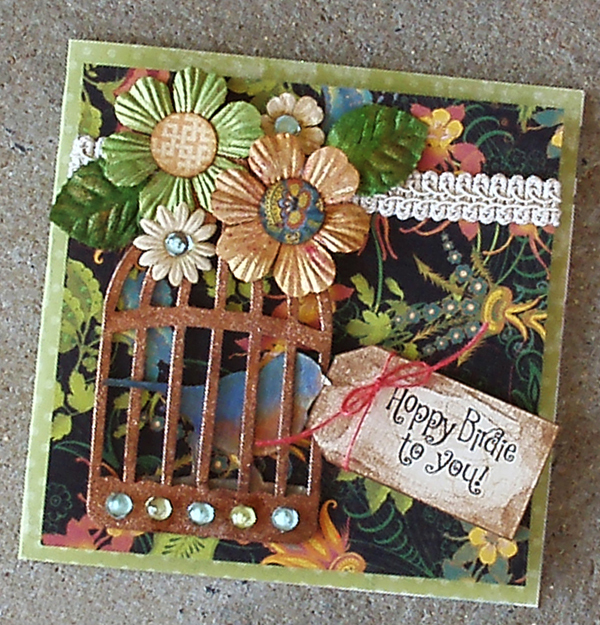 I started with 5 1/2 inch card stock, then cut the bird, cage and wing from Caged Bird die. I applied Inka Gold to bird and wing and did the edges with Vintage Photo Distress Ink for contrast. The tag with sentiment added that personal touch. Create a beautiful Christmas card easily using the Duetica Lettering System. 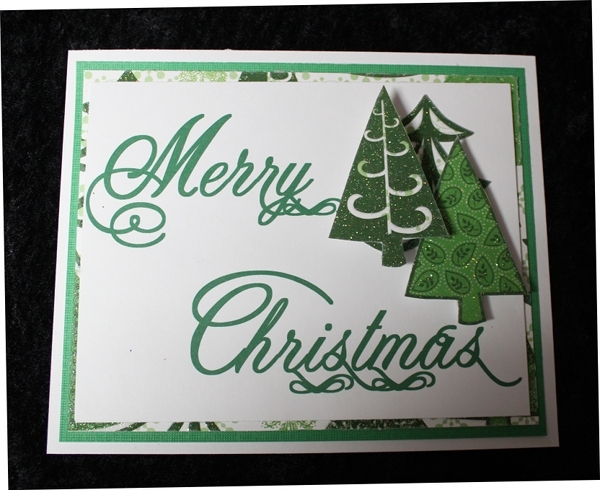 I simply printed out “Merry Christmas” onto white cardstock using my favorite Duetica DT Mandolyn font in size 72 with green ink. I trimmed it to 4 3/4″ x 3 1/2″. Cut out some trees from decorative cardstock, set aside. Cut the following: White cardstock 5 1/2″ x 4 1/4″, Green cardstock 5 1/4″ x 4″. decorative cardstock 5″ x 3 3/4″; layer these with the largest on the bottom and using the laser square to get them straight. 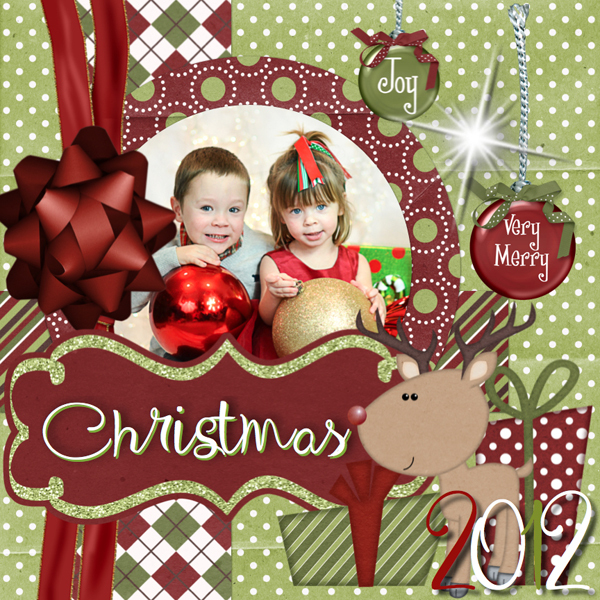 Add the printed “Merry Christmas” to the top and use the laser square to place the trees exactly where you want them, adding foam squares to give them height as needed. A perfect way to say “Merry Christmas” to someone you love. This is proof that anything you see on Pinterest can be made better with Duetica Fonts. 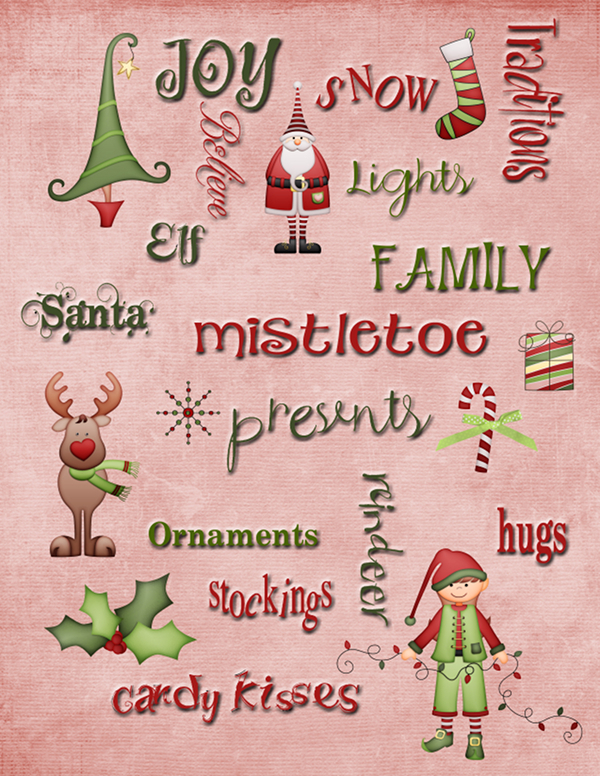 I created the titles for Christmas in every font and was able to manipulate them in Photoshop Elements. This 8 ½ X 11 file can be framed or resized to be used as a Christmas Card. E-mail it to all your friends to wish them a Merry Christmas! Duetica Fonts: DT-all of them!! I just couldn’t get enough of my niece and nephew’s holiday photos this year. Having a sister who is a professional photographer is turning out to be both a blessing and a curse for this scrapbook addict; I never have a short supply of photos to use to create beautiful layouts, but I don’t have enough time to use them all! One thing I love about Duetica fonts is how quick and easy it is to make gorgeous headlines that put the finishing touches on a layout. For this project, the DT Floot font was a perfect combination of elegant, spunky, and fun to capture just the right mood for kids at Christmas. 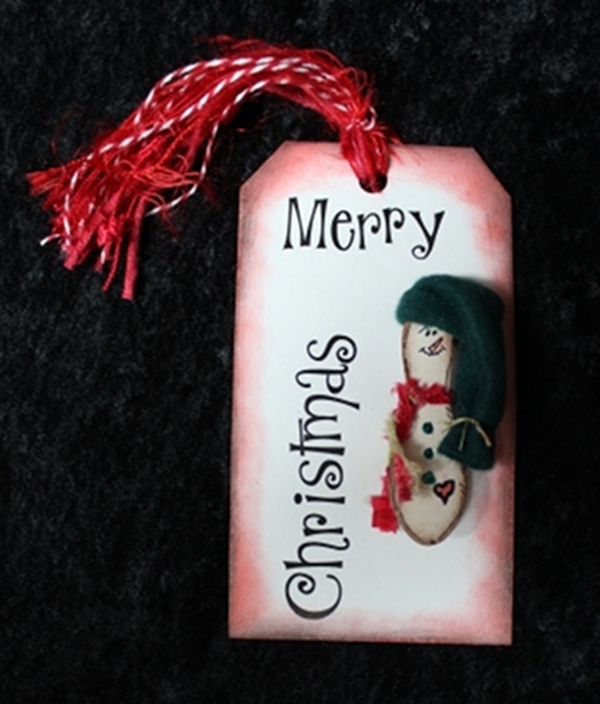 Make this quick and easy gift tag to put on your presents or as I did add a handmade pin and it is a gift ready for giving. You can easily change the saying from “Merry Christmas” to whatever is needed for the occasion. The Duetica Lettering Arts system makes this so easy to personalize every tag. Duetica fonts have so many different lettering styles it makes every tag look hand made. For this tag I used the Duetica DT Piper font, and then added ink distressing to the edges with a sponge.